How about a little Waffle history? Waffles have actually been around since the 9th century. Waffle irons were first used to make communion wafers (waffle means wafer in Dutch). Designs on waffles have been around since the 13th century, often using the family crest as the design. Thomas Jefferson spent time in France as the Ambassador and became enamored with waffles. He was said to have brought home a long handles waffle iron and held waffle parties in his home regulary. Belgiam waffles should actually be Brussels waffles, but the gentleman who first brought them to the New York World's Fair in 1964 didn't believe most people knew where Brussels was so he began calling the Belgium waffles. Ironically what we know as Belgium waffles do not even resemble the yeast (we tend to use baking soda here in America) waffles made in Belgium. In another turn of irony, we owe the ice cream cone to a waffle maker at the 1904 St. Louis World's Fair when he helped out the guy in the next booth selling ice cream who ran out of cups. Hence the waffle cone was born. Here is a little bit of trivia about one of the most famous waffles, Froffles from 1953. You may know them by their nickname, Eggos. The nickname due to their eggy flavor stuck and they were re-branded in 1955 as EGGOS. Coat waffle iron with non-stick spray and pre-heat. Whisk together the milk, sugar, butter, vanilla, cinnamon and eggs. Pour egg mixture over top, turning pieces to coat. Let stand 5 minutes. 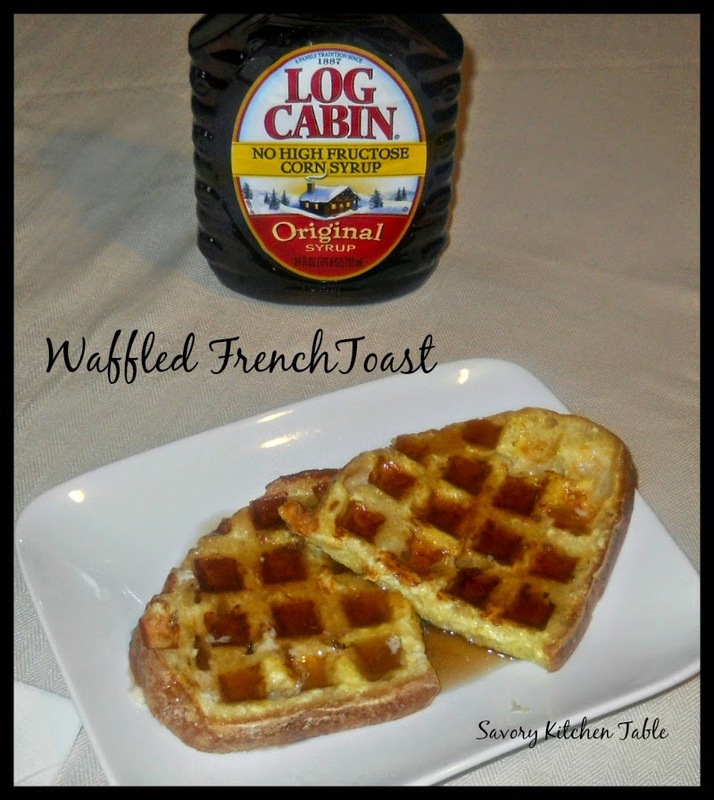 Places 4 pieces on hot waffle iron. Cook 3-5 minutes until golden.